Does this artwork look familiar? No-this isn’t just a hip T-shirt print you may have come across. 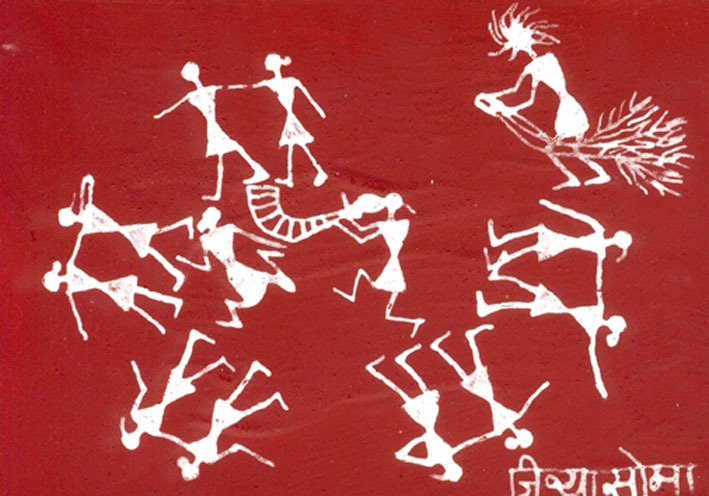 This Warli art form has its origins in the Warli tribe from western India and is said to go back to 2500 or 3000 BC! The Warli use only white for their paintings. Their original white pigment is a mixture of rice paste and water with gum as a binding. 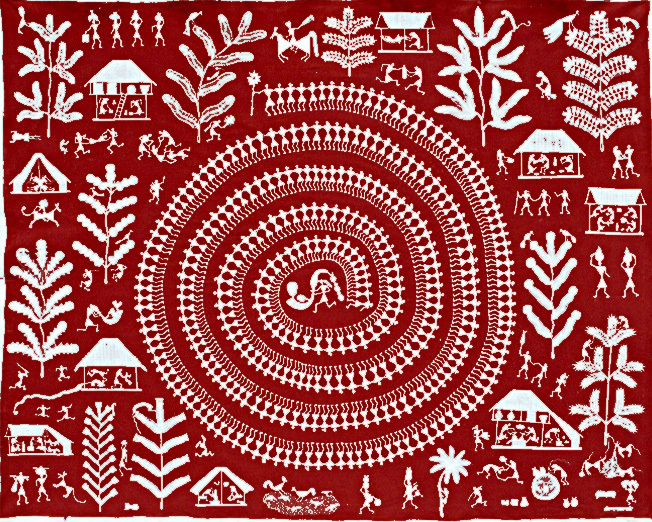 The Warli used circles based on their observation of the sun and moon, triangles from mountains and trees and squares to denote an enclosure of land.